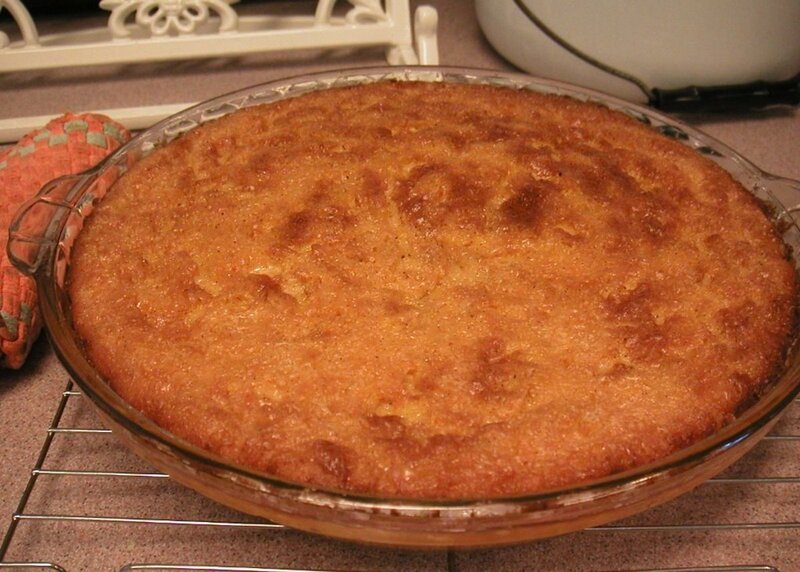 Peg Cole is a self-taught cook who shares favorite recipes and methods of cooking and baking. When my son was six years old, he would frequently ask, "Will you be passing out dessert tonight, Mommy?" My answer would always be the same. "Only if you eat all your vegetables." He loved this nutritious pie and eagerly asked for seconds. Great with a spoonful of whipped cream, too. Even if you never baked a pie in your life, this recipe is a great place to start. Within a few minutes, you can put this recipe together and have it baking in the oven. The best part is that there's no crust to make. a spoonful of margarine or butter. Add a spoonful of flour and a dash of cinnamon for flavor and you're almost there. 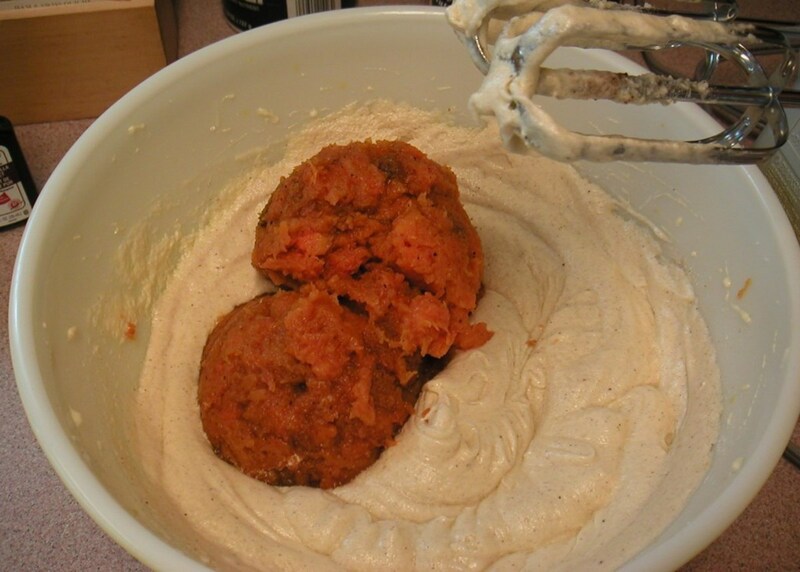 If you have an electric mixer it saves some effort but the pie will come out just fine if you use a whisk or a hand beater to mix the ingredients together. Once you've made this easy pie you will want to make it again and again. That spicy aroma of the pie baking in your oven will bring curious family members into the kitchen to see what's cooking. Come try this nutritious dessert that even your kids will love. A bit like spicy custard, they won't even know it is a vegetable unless you tell them. 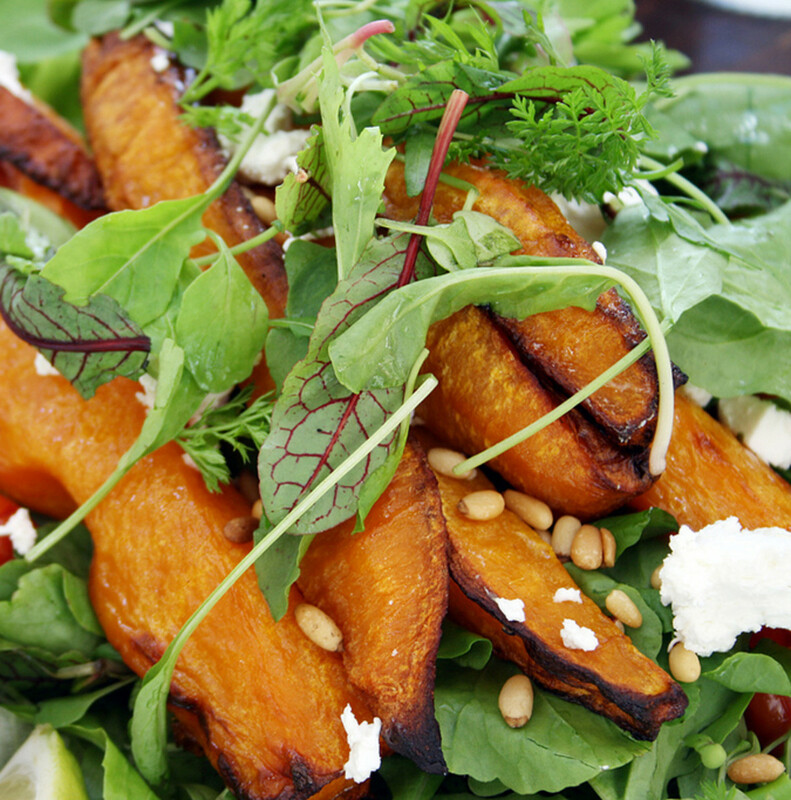 Using fresh butternut squash makes this recipe really tasty. 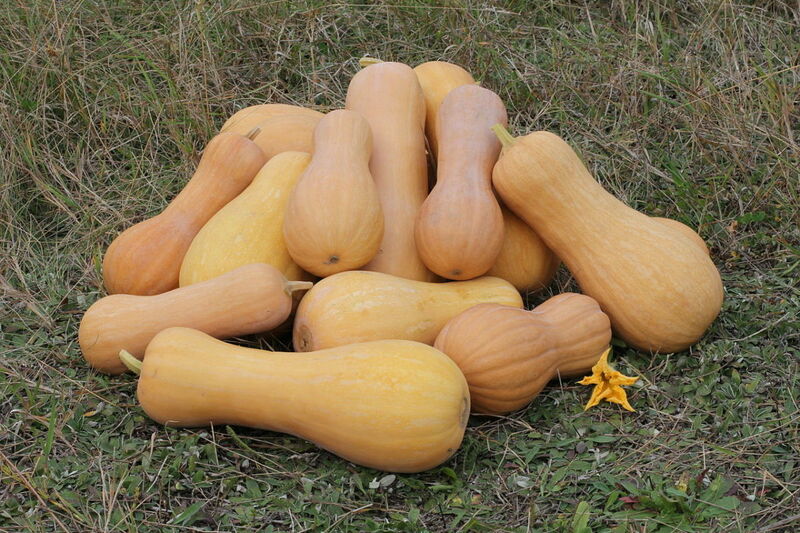 To use fresh baked squash, substitute two (2) cups for the canned or frozen squash. 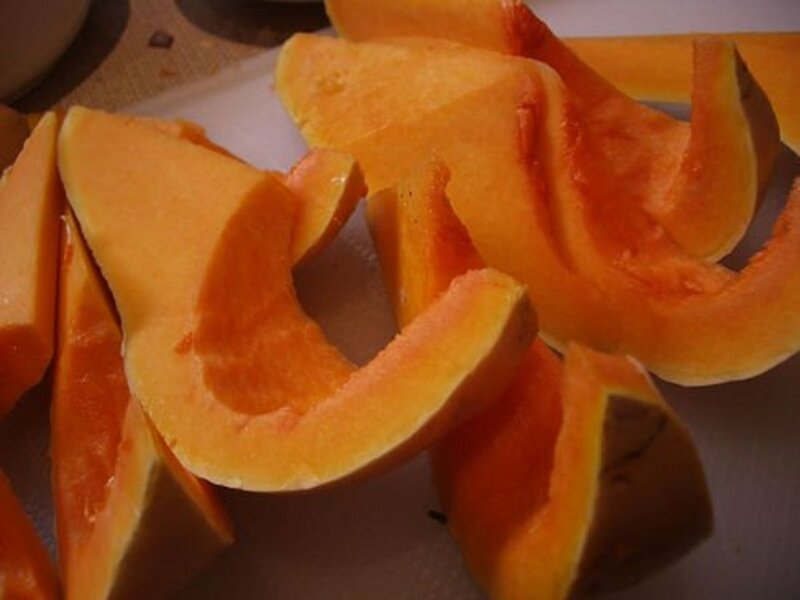 The link takes you to my article on how to bake fresh butternut squash. I've been making this pie since the seventies using canned squash. Recently I tried using fresh baked and even frozen squash. The pie comes out delicious whether using canned, frozen, or fresh squash. Defrost the frozen squash in the refrigerator for twenty-four hours. Cooked fresh squash gives the pie an incredible flavor and texture. Adding the cooked squash to the butter, flour, spices and egg mixture. Preheat the oven to 350° Fahrenheit. I use an oven thermometer to be sure. 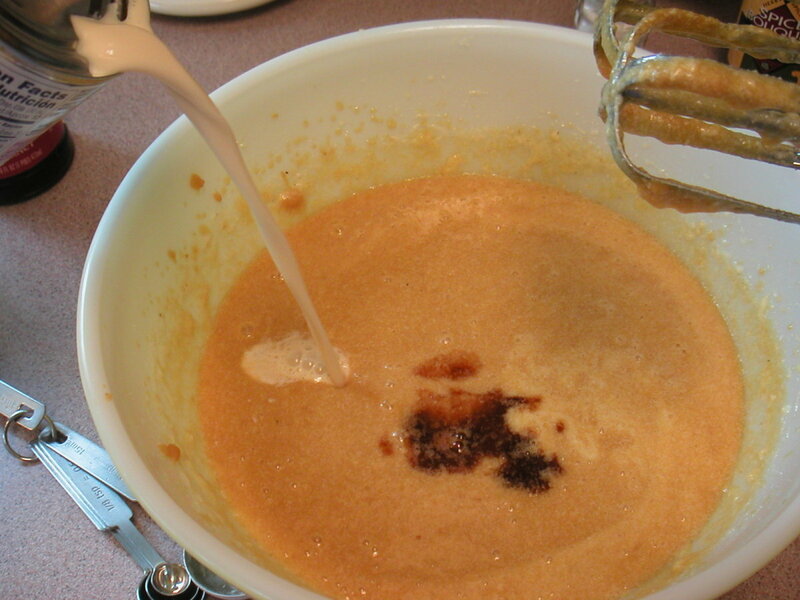 Using a medium size mixing bowl, mix the sugar and softened butter together until it's creamy. Add the eggs, one at a time, mixing after each egg is added. Mix a tablespoon of flour with the remaining dry spices: cinnamon, nutmeg and salt and blend these together with the egg mixture. 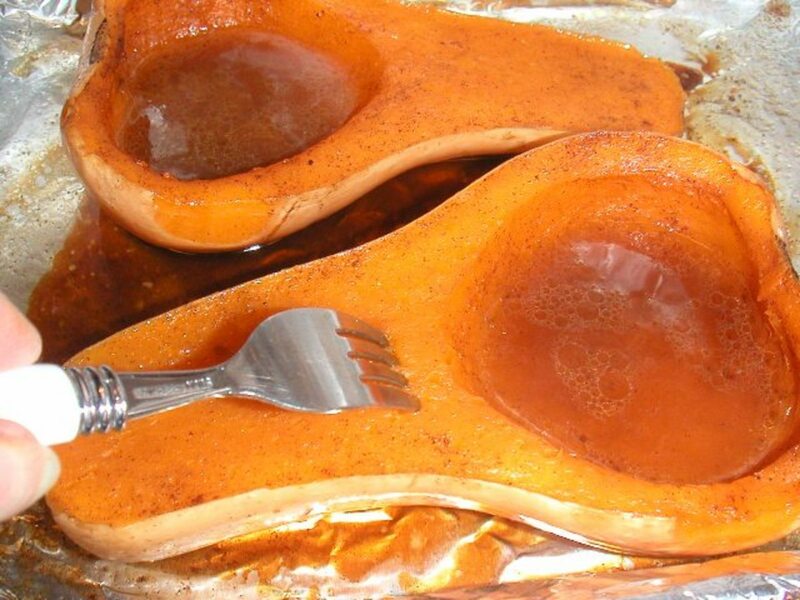 Stir in the cooked squash using either one can, one package or two cups of cooled, baked squash. Slowly stir in the evaporated milk. 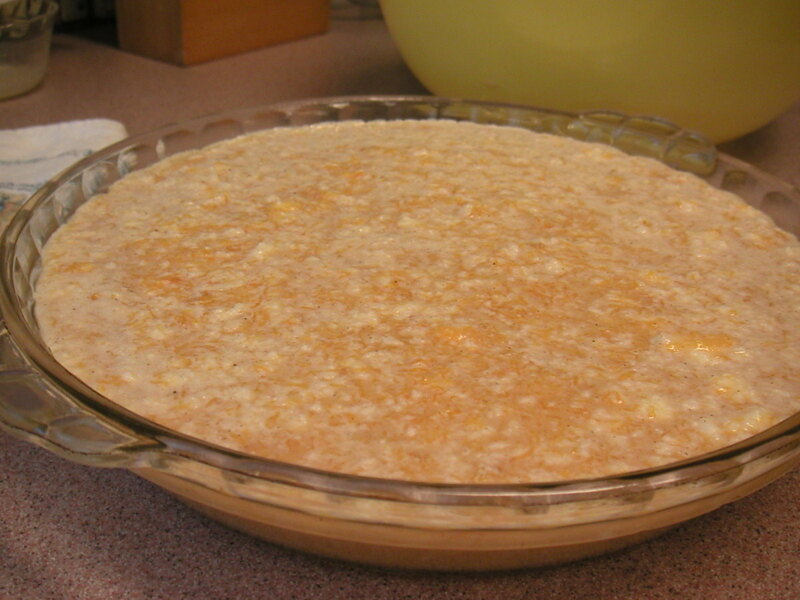 The mixture will be watery with loose, floating bits of butter after it is poured into the baking dish. Bake for one hour at three hundred fifty degrees Fahrenheit (350 degrees). 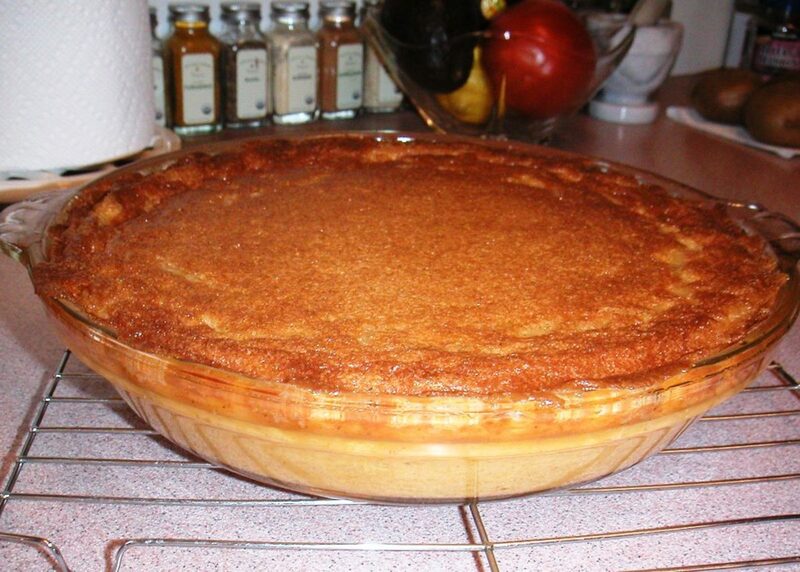 When you pour the mixture into a greased nine (9) inch glass or metal pie dish it will be watery and liquid. Don't worry, it will solidify during the baking process. The butter and flour are what forms a nice top crust. The pie gets puffy as it bakes, like a pumpkin pie. Carefully remove pie from the oven and cool on a wire rack before serving. 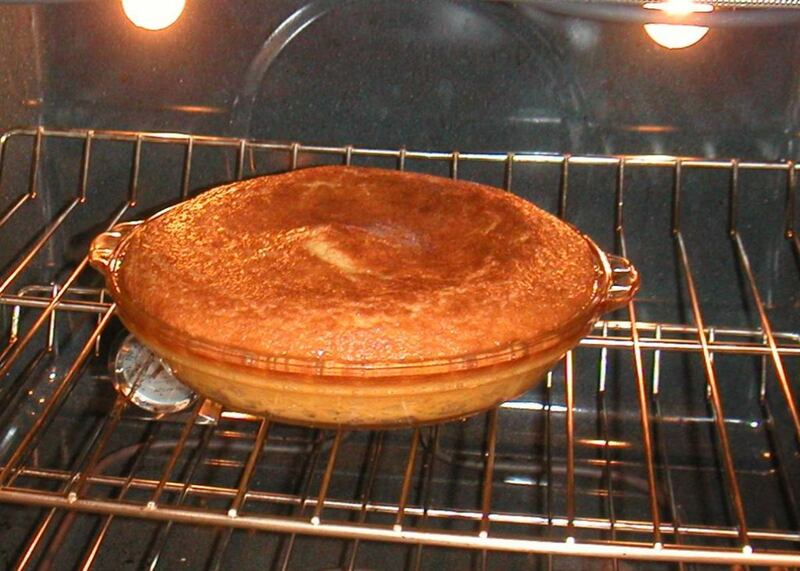 The pie starts out looking rather puffy, but as it cools, it settles down to look more like pumpkin pie. 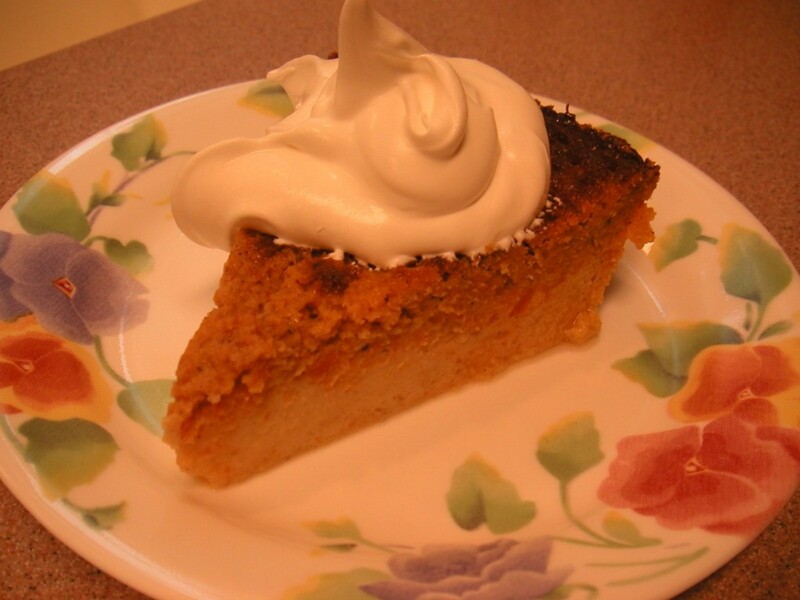 Cut the cooled pie into eight (8) slices and add a dash of whipped cream or Cool Whip topping before serving. The pie may be served either warm or cold. 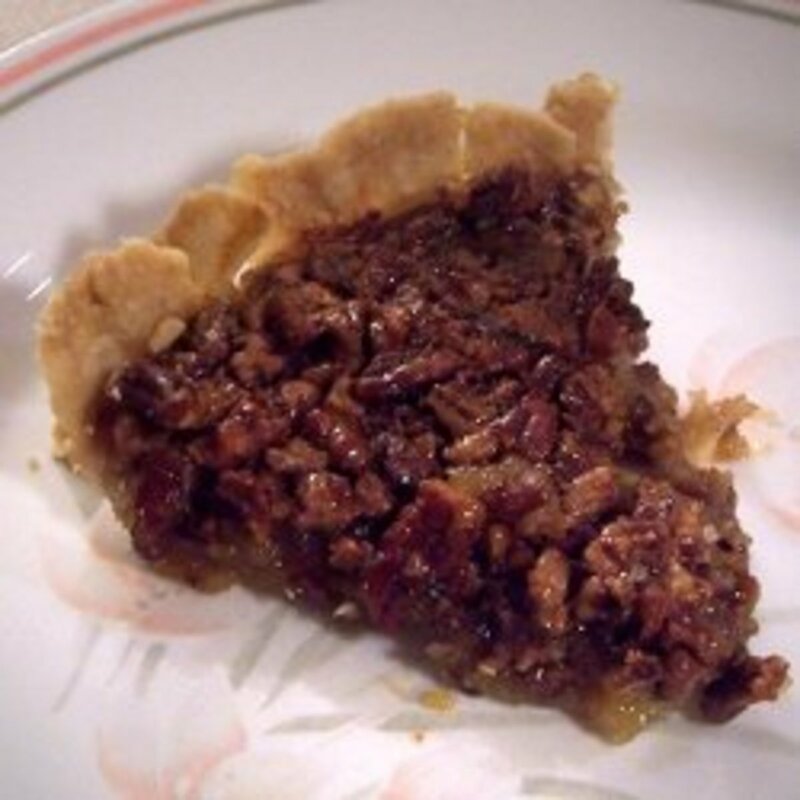 Store any leftover pie in the refrigerator and use it within seven days. I hope you'll give this recipe a try. You may be surprised at the creamy texture and subtle difference between this and standard holiday pies. When it comes from the oven it will be puffy and settle down later when it's cool. Be sure the oven is fully up to temperature before putting the pie in to bake. Don't be tempted to open the oven door during the first hour of baking time. This drops the temperature in the oven and may cause your baked goods to fall with the change of temperature. Delicious with or without whipped cream topping. Are you a seasoned baker or a beginner? Seasoned to a small extent. This one definitely goes way back, Barbara. I love old recipes too. I love old fashioned recipes. Vivian, I hope you enjoy this veggie as much as we do! I will try this trying to find other vegetable because we are diabetic. Hi Margie, The flavor of the butternut squash is much like pumpkin. I've never tried a pie with yellow squash. Sounds interesting. I have never had the pleasure to try butternut squash, I have made a squash pie with yellow squash and it is delish! Hello Au fait. Yes, it works just as well with frozen. In fact, that is the only way I found it at first. Only recently have I been able to locate the canned squash which I found at Target. For the frozen, I just let the package thaw ovenight in the refrigerator and blend it in the usual way. Thanks so much for the visit and the nice comments. This looks so yummy! I didn't know you could buy butternut squash in a can. I know it's good for you and I must say this recipe really intrigues me. Now I'm going to have to hunt down a can of butternut squash. I guess frozen would work just as well? I've seen frozen butternut squash. Missed you too Gloshei. So much to catch up on. Hope you are doing well. Let me know how you like it, would you? Guess what Peg 12 months down the line and I have finally got some!! now I can at least try your recipe, will let you know. Not been around much, so I have a lot to catch up with. Guess I missed you all. It came out amazing!! especially with the cake powder/butter mixture on top! i used lemon flavored cake mix. sooo yummy. added a nice lil crunchy texture on top. I have to get some ice cream!! thanks again! i will be using this again very soon! This recipe can also be made with fresh butternut squash by substituting 2 cups of baked squash for the canned or frozen. There is a link above to a hub I wrote on how to prepare freshly baked squash too. I've used this recipe successfully for nearly 30 years and have never used extra flour since the one tablespoon is just enough to form a pretend crunch on the top. The interior starts off very liquid like but during the baking process it turns into a creamy custard texture. I'm sure your adaptation will be delicious too. Hope you'll let me know if you liked your version of the pie. Thanks so much for sharing your experience with this recipe and hope you enjoy! I have this in the cooling as we speak. I had some left over Butternut squash and decided to give this a try. i had to do a few things differently, though. 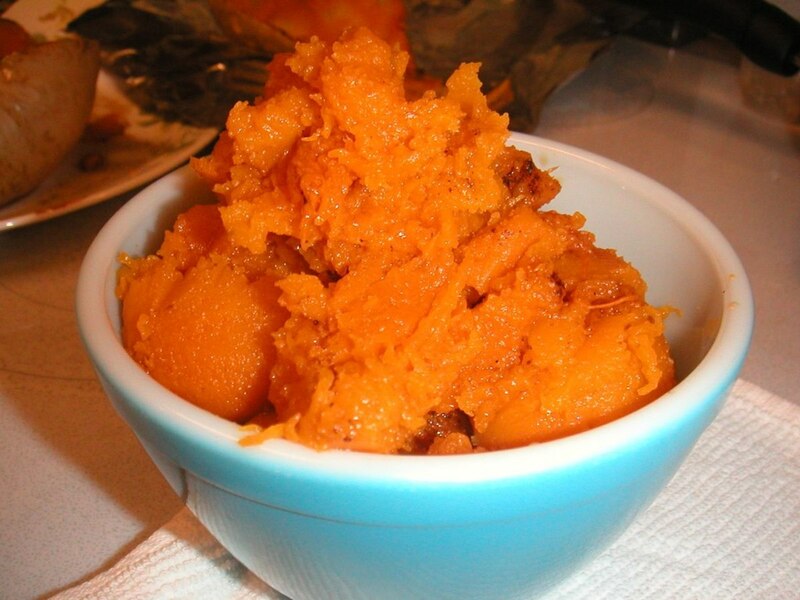 for one, i had an actual butternut squash, so boiled it then peeled skin away and mashed up it up until smooth. i didn't measure this, I get so lazy when it coms to measuring so i think i added to much. 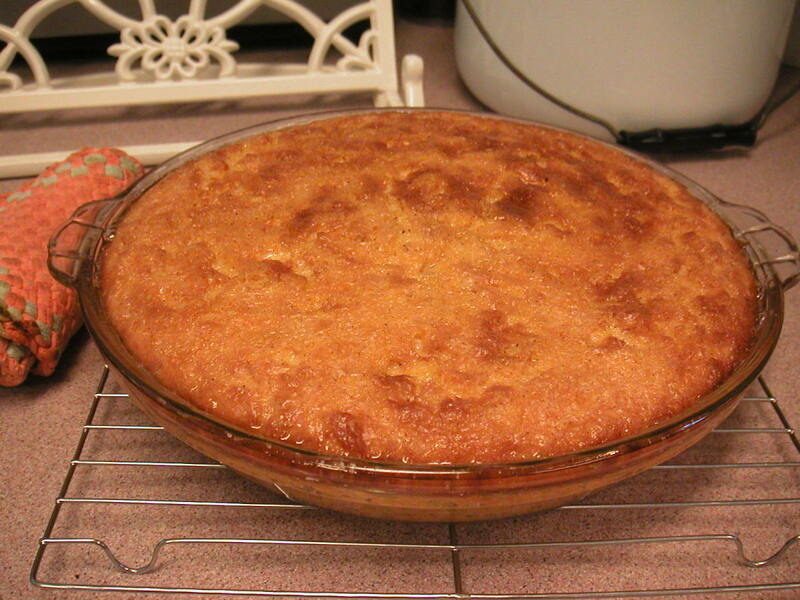 anyway, i left didn't use a quarter of the evaporated milk, because it seemed to watery. I also added 4T of flour instead of the one because i felt i needed it to be thickened as well as a bit of baking powder. i put it in two different baking dishes because i didn't have one big enough to fit all of it.in a tiny bowl, i took some butter and some cake batter and mushed it up in my hands and sprinkled on top of the smaller baking dish. i did this with some pumpkin dessert i made and it came out great s i decided to try it again with one of pies. hope it comes out great. I'll write again if it does. if it doesn't well . . . Thanks so much for lunch yesterday and for looking at this recipe. Let me know if you want to give it a try and I'll bake you one. I hope you will like the new article I plan on releasing tomorrow. It's a review of your restaurant! Wow!! Peggy, your pie looks so delicious!! Ask_DJ_Lyons, Hello. So sorry about missing your nice comment. I had no idea until last year that it came in a can. Finally found it at Target. The frozen kind is usually only available in winter. Thanks so much for dropping in and taking time to write a comment. First my apologies for missing your nice comment. Hope you have found some of this vegetable by now. Maybe I can send you some seeds and you can grow it and start your own market for this item. !! Peg, thanks for sharing this delicious-sounding recipe. 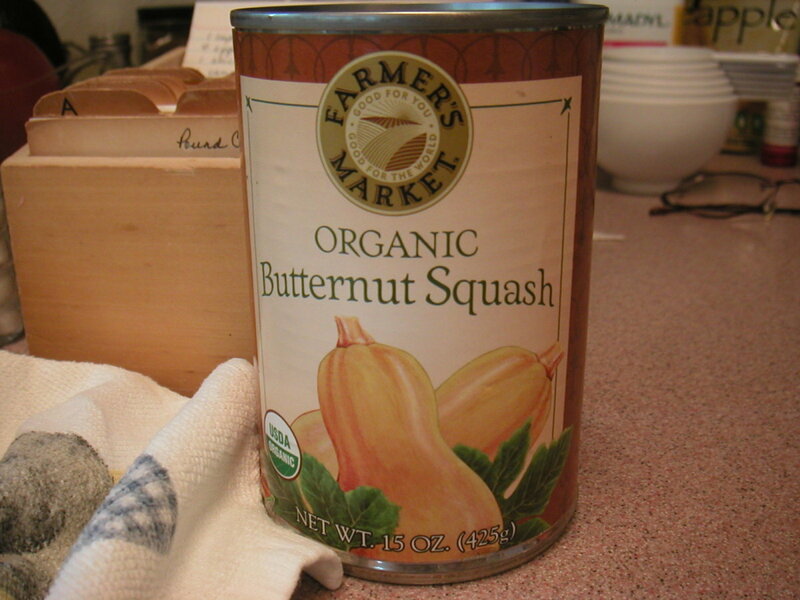 I had no idea you could get butternut squash in a can or that it could be made into a pie. Well done on the pictures. I may have to try this sometime. Thanks! That sounds great Peg I can't wait, still looking for it I will have to ask some friends to bring some over from UK otherwise. Hello Gloshei, Well I've found a nice butternut squash fresh in the produce department. After I finish taking pics of it I'm off to try out a recipe for cooking it. Then I'll turn it into pie and see how it does. Will let you know. See you at the table. Glad to hear it, I promise to get more professional! one day. My darling Gloshei - What are they thinking in France? 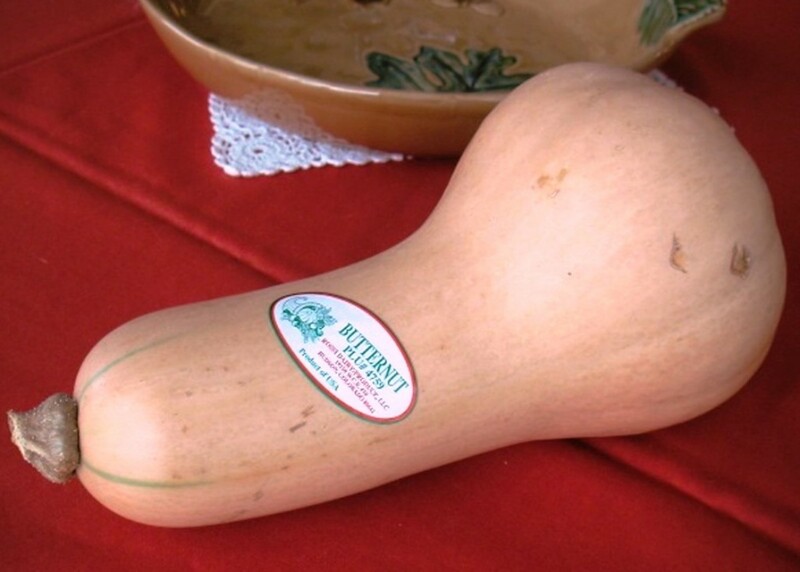 Not to tin butternut squash is a lost opportunity. Perhaps you could start a new industry or ask your grocer if he can stock it. In the meantime I'll send you a slice of pie in the mail. Not really, too messy. It is so odd that you can't find it "tinned". I love your delightful accent and way of expressing things. Hi Peg,Looked everywhere in our area of France but cannot find tinned butternut squash. It's difficult getting a fresh one too. Hi AlmostLola - Thanks. Me too. Hope you do make this recipe. It's easy and good at the holidays too. I love butternut squash. Can't wait to try this. Thanks for sharing! Thanks so much for the nice comment. I hope your pie turns out great and that you enjoy the recipe. Cheers and happy baking. This would be truly even better with fresh cooked squash. I do hope you try it sometime. Looking at the can of evaporated milk (not sweetened condensed) it doesn't show any added sugar in the ingredients. Per can it has about 36g of sugar on the nutrition facts listed. Have never tried it with fresh milk or any other. Good to see you. How have you been? Oh definitely one for my recipe book. Butternut squash, one of my family favourites, I usually roast it along with other veggies like sweet potatoes, peppers and parsnips. I am not sure about the evaporated milk thou as I think it may be high in sugar, so could I substitute any other milk? Hi Rosemay, From what I hear, you're quite the baker. I'm happy you liked the recipe. I recently found the frozen kind of butternut squash in the WalMart near us. That was what I used before I found squash in the can. I'll add a pic of the package soon. Thanks so much for dropping by. I love crustless pies and will certainly be trying this one. We don't have Butternut Squash in cans over here so I was really pleased you put the link to the other hub. Hello Eiddwen - Thanks for stopping in for this recipe. Wish we could share a piece of pie in the kitchen with some coffee. cheers! Hi Sally - Neither had I before this recipe. 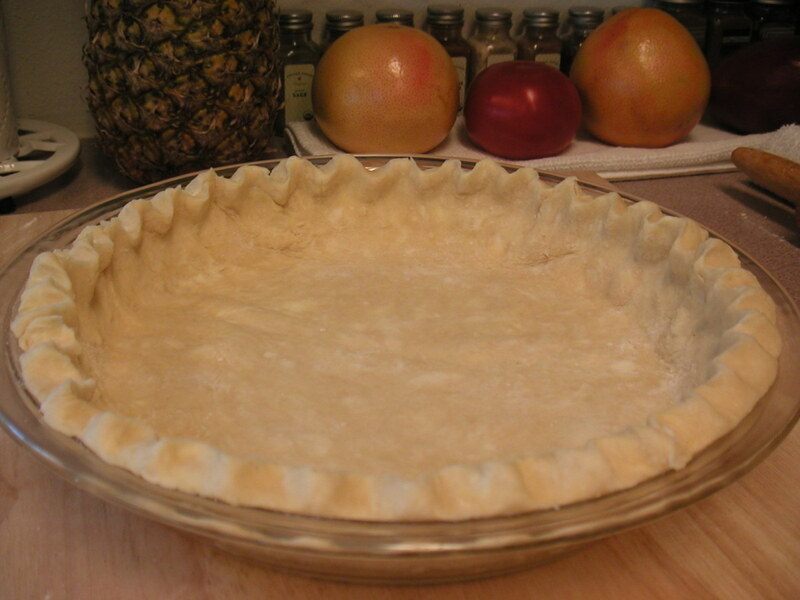 It works best to use a pie server to slide under the slices for serving. And the Cool Whip makes it a dream. PegCole17 I have to try this one! I have voted your hub interesting. I have never baked a pie without a crust, and this looks fablous...wonderful, wonderful pictures of the set up and the beautiful finished pie. 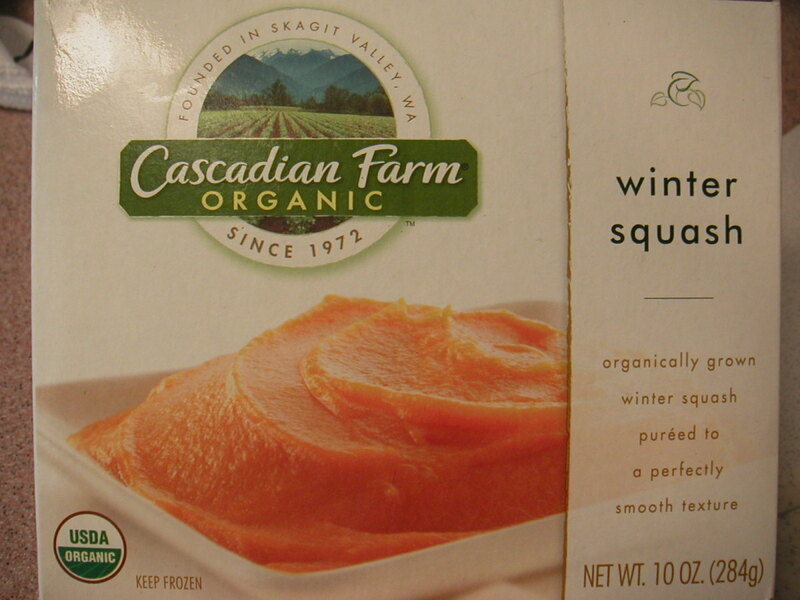 I love butternut squash, so this is definitely on my list as soon as the weather cools down. Voted up and useful! I must try this one out and I'll let you know how i got on. 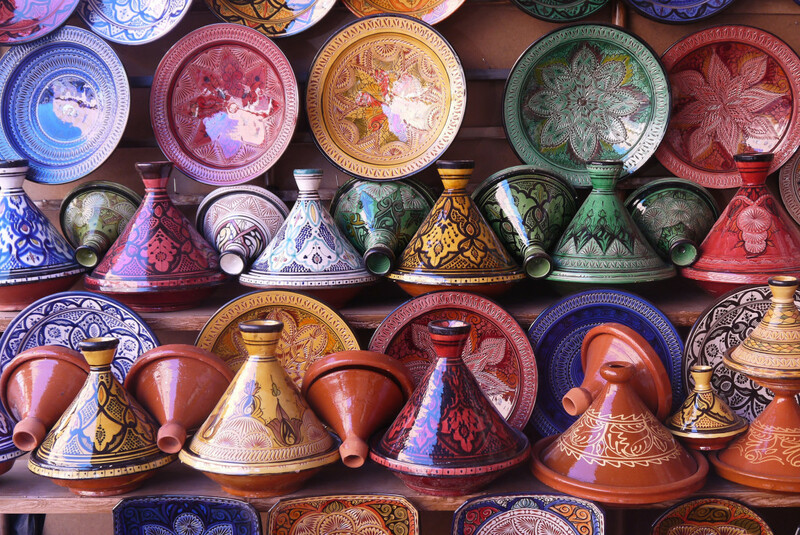 Thank you so much for sharing and I bookmark this one into my favourite recipes slot. Thank you KoffeeKlatch. You bring the coffee, I'll bring the pie. I definately be trying it. It looks and sounds delicious. Wow. Don't tempt me. I have always wanted to visit France. Even took a couple of years of Audio-Lingual French in HS. No help there. Haha. I was Marguerite. Bonjour. Au Revoir. That's it for me. Go on b.Malin don't tell him what it is, men can be sneaky as well! so it takes two. Better still come over to France for a break! it will be fun Hubby won't know what hit him TWO females in the kitchen. I'll bet it's Delicious and I would try it...not sure about Lover Man...Man are so funny when it comes to certain names. Anyway thanks for what sounds like a Wonderful Recipe. Maybe I'll sneak it in...he'll taste it and Love it! Good one Peg! Thanks for the nice comment and I do hope you'll let me know how it comes out and if your kids like this pie. The squash also comes frozen and you let it thaw in the fridge overnight or you can buy it fresh and bake it. Thanks to your comment I added a link to a hub that explains how to bake squash. I wish I could send you some to try this recipe! You will not believe it, but the first time I tasted this pie it was baked for me by a man. He was courting me and trying to impress me. He did. Believe me, if he could bake this pie, you can too. I only recently found canned squash at the new Target in Murphy. 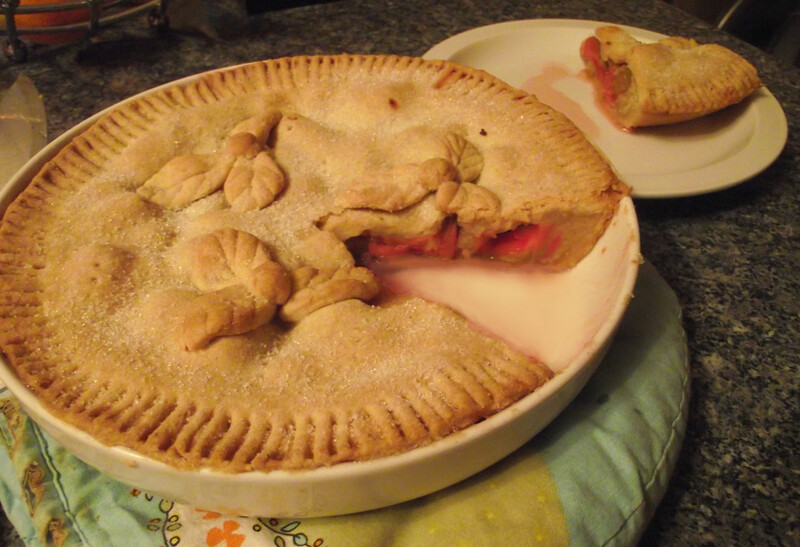 For years I'd been looking for the frozen kind which I originally used for this pie in the late 70s. 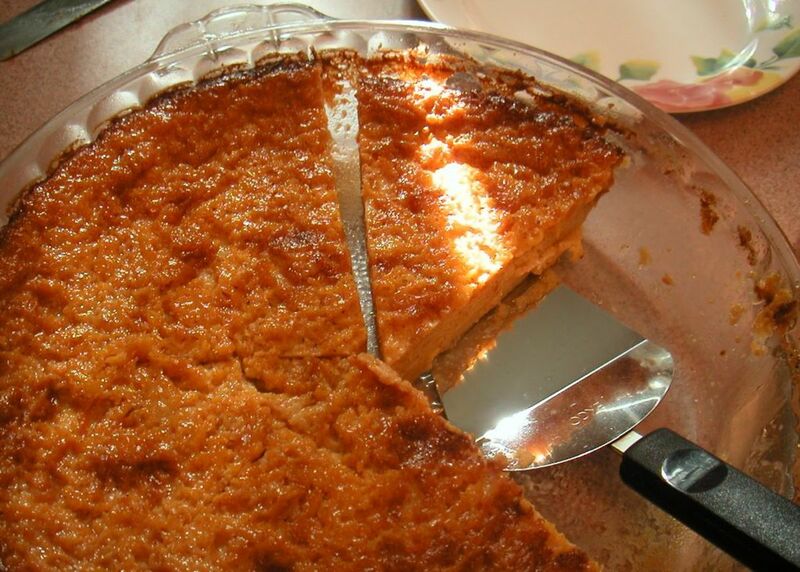 To some it might taste like pumpkin, but to me it's more of a soufle-custard like flan. I guess it depends on how much spice is used. So nice of you to drop by and take time to leave a comment. Thank you so much. I never knew that one could purchase butternut squash in a can. Always use it fresh. Will be on the lookout for it. This must taste a bit like pumpkin pie with the spices used. Correct? Wow.... I love pie and your pie is so delicious. I am glad to share this with my mom. I hope she want to make it one for me. Yummy..... thanks for share with us. Vote up! Will definitely have to try this one Peg, I just hope I can get the canned butternut squash here in France. Love squash in breads and cakes. Never had them in a pie before; but will try it this way. Love to get in the kitchen to bake and cook. Will try this when I get a chance to bake in a couple of days. Hello Seeker7 - I really hope you'll give this a try. It is so easy you will not believe it. And you will be the star of your dinner table! Thanks for checking out this recipe. Wow! This looks absolutely delicious. I haven't heard of this recipe before but I can't wait to try it. I'm not overly confident with pie etc. But your hub has explained everything so well that I actually do feel I could have a go. Many thanks for sharing.